ST. PETERSBURG, FL: At the Brewer’s Ball on March 5, Best Florida Beer awarded Pinellas Ale Works’ “1888,” a Russian imperial stout, a gold medal in the Best Florida Beer Professional Championship. The “1888” beer boasts roast barley, chocolate, toffee, dark fruit and coffee flavors. This is the second major bottle release for Pinellas Ale Works; a budding brewery in the Tampa Bay brewery scene. The brewery will be hosting a release party for a barrel-aged version of “1888” on March 11 during Tampa Bay Beer Week at their brewery in St. Petersburg. The brewers of Pinellas Ale Works, Matthew Brown and Dennis Decker, call St. Petersburg their home and hold its history close to their hearts. They have used it as inspiration for several of their beers, as they feel it is the best way to honor their home. Historical significance: On June 8, 1888, a train pulled into the last stop of southern Pinellas County, carrying just a couple of empty freight cars and a single passenger. Though the train carried only one passenger that day, it later carried many more, which led to a city springing up around the station, St. Petersburg. 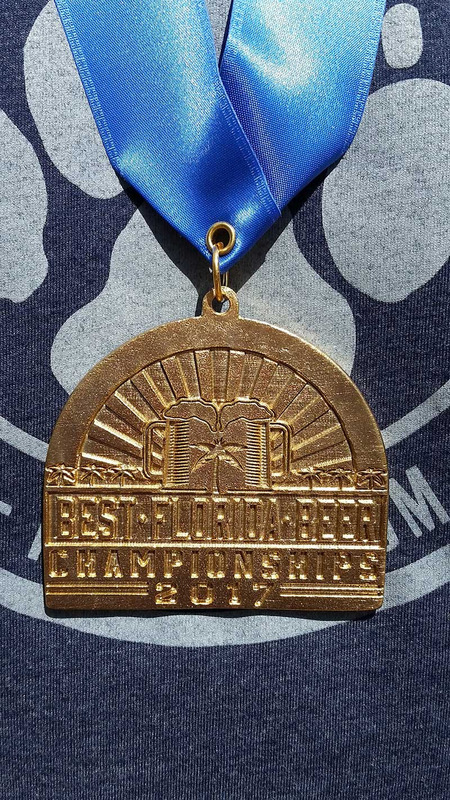 Much later, it even led to Pinellas Ale Works creating a beer inspired by it, and Florida honoring that beer with an award. Interviews with Matthew Brown and Dennis Decker are available by contacting chris@leewardinteractive.com or by phone at (727) 300-6521. 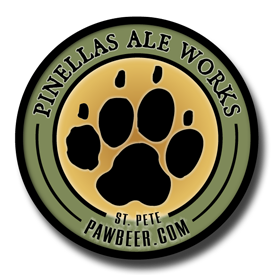 About Pinellas Ale Works: Pinellas Ale Works, PAW for short, opened in 2016 in the Grand Central district of St. Petersburg. The brewery was started by Matthew Brown and Dennis Decker. The two’s inspiration for their beers comes from their dogs and their city. They do this to give their patrons a great beer experience and to give their city a brewery that they can be proud to call their own. The “1888” beer won this gold medal.